from the Birch Ridge Inn! It is no secret, winter in Vermont is as good as it gets! And the Birch Ridge Inn is a great place to stay to experience it. The majestic Green Mountains present skiers and riders with a delightful mix of terrain styles, suitable for all abilities. Both Mary and Bill, your innkeepers, are seasoned intermediate skiers. Let them help you plan your Vermont winter vacation. All the stat's aside, Bill and Mary built Birch Ridge at Killington, versus buying an existing inn at another mountain. The skiing is that good! The Birch Ridge Inn is located 1 mile from the Killington base lodge, on purpose, to allow Bill and Mary time to ski. And with the longest ski season of any ski resort in America, they get to ski a lot. Pico: Pico Mountain, the sister resort of Killington in the town of Killington, offers the intimacy of classic Vermont skiing with long runs and diverse terrain. It is finished off with a central base lodge complete with a roaring fire in a stone fireplace. Pico offers big-time skiing and snowboarding with a 1,967-foot vertical and 50 trails, seven lifts (including two high-speed quads), a terrain park and 75% snowmaking coverage. Sugarbush: in the Mad River Valley between Warren and Waitsfield Vermont, Sugarbush is experiencing a renewal. Sugarbush is approximately a 1 hour drive north of the Birch Ridge Inn, along scenic Route 100. Many locals praise "the Bush" as an alternative to Killington. Try it one day during your ski week in Vermont. Okemo: Mary first learned to ski at Okemo in her teenage years. Like Mary, Okemo has since gracefully matured. With tons of moderate terrain and grooming every where, you won't find many knee-knockers at Okemo. But if you love to cruise, Okemo is an interesting diversion. Located in Ludlow Vermont, Okemo is approximately a 30 minute drive from the Birch Ridge Inn on Route 100 South. Being a mile from the Killington Base Lodge, most guests of the Birch Ridge Inn will find the Seven Mountains of Killington more terrain than they can possibly cover during a weeks vacation. 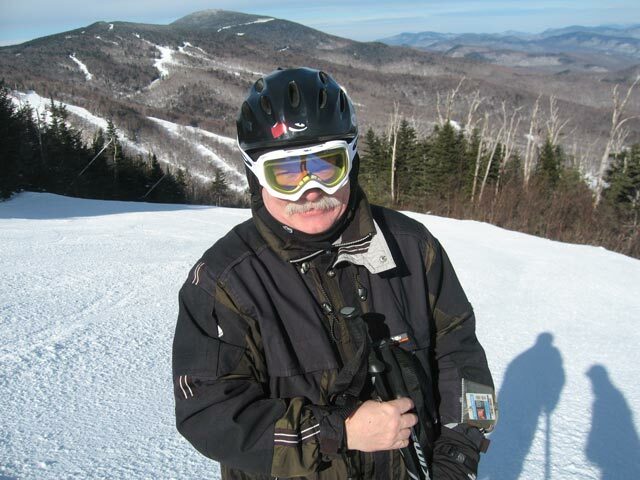 But for the adventurous, Vermont has many other fine ski resorts that are easy drives from the Birch Ridge Inn. From Jay Peak, Stowe, and Mad River Glen to the north, to Bromley and Mount Snow to the south, the Green Mountains of Vermont offer world class mountains with New England charm.